Russell Hasan lives in Connecticut. He is a graduate of Vassar College and the University of Connecticut School of Law, and is a lawyer/novelist/philosopher. He is politically libertarian (socially liberal, economically conservative). He is also a fan of the New York Yankees. 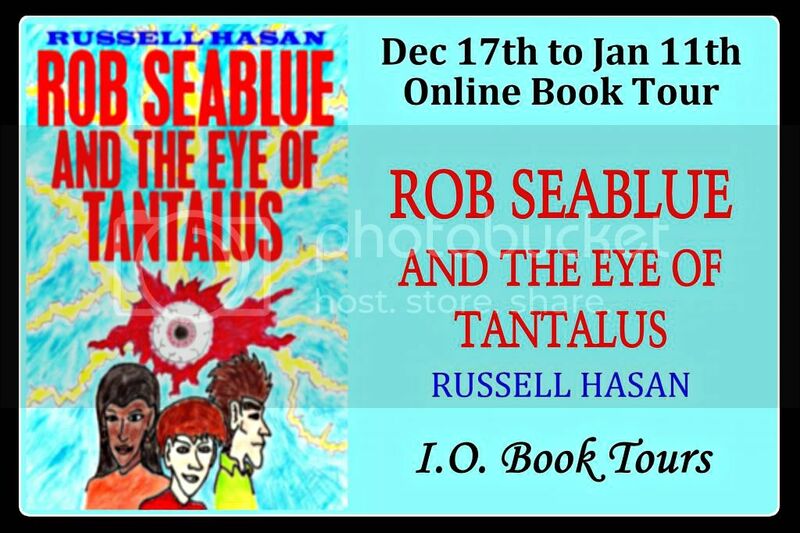 More information about him (as well as free short stories) can be found on his website: http://russhasan.blogspot.com. I understand Hugs’s plan now. I see what he’s doing. His plan is to go after the kids who are weak, the ones who suffer, the ones who are outcasts, losers, loners, the ones who are depressed, lonely, uncool, the ones we all laugh at. The kind of teenager who thinks about suicide, the kind that is common, even though we’re trained to believe that people like that are rare, even though they don’t show up among all the pretty, shiny, plastic-wrapped posers. He thinks they are all like him, full of sadness simmering into a desire for revenge, revenge against society, against normalcy, against what people hold holy and sacred, revenge against everything and everyone. He thinks those are the ones most likely to give in, to give up, to let their sadness turn to anger and then to hatred, making them into his pawns. Then, with them at his side, he’ll have his gang, he’ll be the bully, he’ll rule the school… and the world. But he’s counting on me not doing anything. And he’s wrong. I’m not going to let him win. I’m not going to let him and his crazy Eye of Tantalus get one person, no, not even one. And you know why I’ll beat him? Because the kids in my school are good. We’re good kids. Not that we always obey the rules, or get everything right, not that we don’t stumble and fall every once in a while. Not that we don’t try too hard sometimes, or not try hard enough other times. Not that there aren’t some bad seeds. But by and large, we’re just trying to do what’s right, as difficult and confusing as it is to even know what right is. We’re just living our lives, that’s all, and just trying to manage and cope and to be happy. These are my classmates, my friends, my fellow human beings. And they’re innocent. They’ve done nothing to deserve Hugs attacking them, trying to corrupt them and destroy them. Nothing. So I’ll be their guardian angel. I’ll be their superhero. I’ll be that someone, that something, invisible, but there, something they can feel, someone they can rely on. I’ll save them, I’ll rescue them—by showing them that their legs are strong enough for them to stand on and that they don’t need me or him or anyone else to save them. I won’t let Hugs get to them. I won’t let him get to even one of them, not one! Each one of us is just trying to live his or her life, be a good person, and get some satisfaction—and I’ll protect that, I’ll protect them. I’ll prove that being human isn’t weak and stupid, like Hugs thinks, but that humans are good and noble, and that we can be happy, and that we’re not hopeless pathetic little nothings. I’ll prove it to him and then he’ll see, and then I’ll get Hugs back too. The evil magic won’t win. I’ll find a spell capable of defeating and destroying the Eye of Tantalus. And then, with my best friend at my side, I’ll be happy again. If I can. If I’m not too late. If I’m really even strong enough to do this. If I really am a hero. If humans really are good, if we really aren’t ugly nasty horrible things like Hugs believes. And if Hugs doesn’t get to me first….